You think you’re pretty cool with your 13 or even 20-megapixel cameras on your smartphones – and those DSLR guys with their HDR shots, don’t get me started. Well, the SLAC National Accelerator Laboratory has both of them beat in getting DOE approval for the world’s most powerful camera. 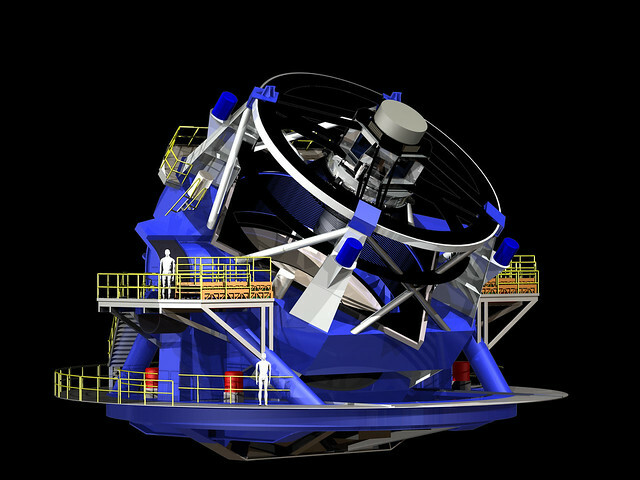 The LSST, to be constructed in Chile, will have an 8.4 m primary mirror and will operate at wavelengths from 320 to 1060 nm. Composed of 189 tiled 4k x 4k CCD sensors, the camera itself will be cryogenically cooled to -100°C and will have a readout time of 2 s or less. Science operations are scheduled to begin in 2022 with LSST taking digital images of the entire visible southern sky every few nights from atop a mountain called Cerro Pachon in Chile. It will produce the widest, deepest and fastest views of the night sky ever observed. Over a 10-year time frame, the observatory will detect tens of billions of objects – the first time a telescope will catalog more objects in the universe than there are people on Earth – and will create movies of the sky with details that have never been seen before. LSST will generate a vast public archive of data – approximately 6 million gigabytes per year – that will help researchers study the formation of galaxies, track potentially hazardous asteroids, observe exploding stars and better understand dark matter and dark energy, which make up 95 percent of the universe but whose nature remains unknown. LSST is being funded by the National Science Foundation and the Department of Energy. Watch Video: Andrew Connolly: What’s the next window into our universe?